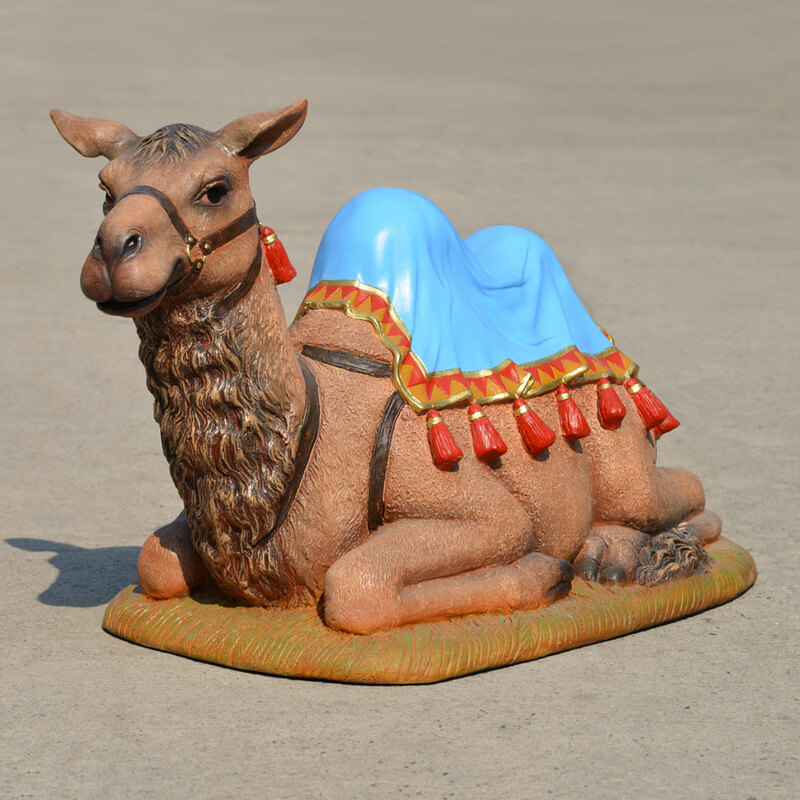 The Christmas Camel is designed by Christmas Night and manufactured by Heinimex and makes an excellent addition to any Nativity set. 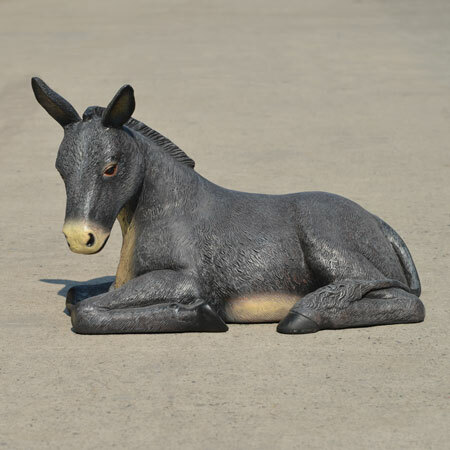 The beautifully designed camel is depicted in the resting position. It has a colorful blue blanket on its back that is draped elegantly over its two humps. 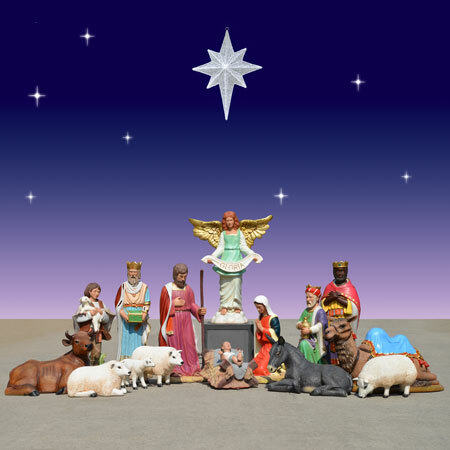 This piece makes a unique and elegant addition to any indoor or outdoor Nativity scene. 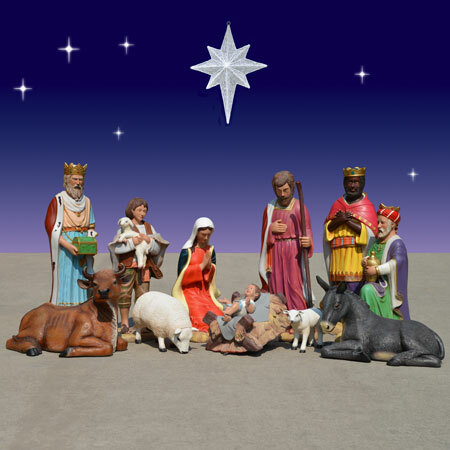 The camel is part of the Christmas Night Nativity Set. 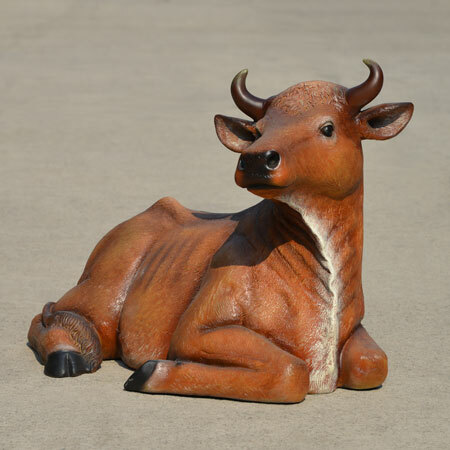 The carefully detailed piece is made to look realistic and even includes fine detailing of its coat on its body and neck. 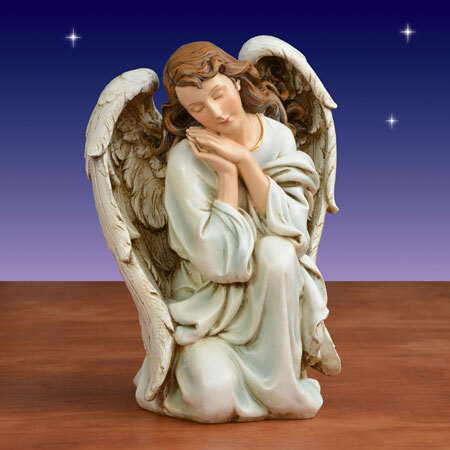 This piece is a Christmas Night Exclusive and goes with Nativity set items 58500 and 58501, sold separately. 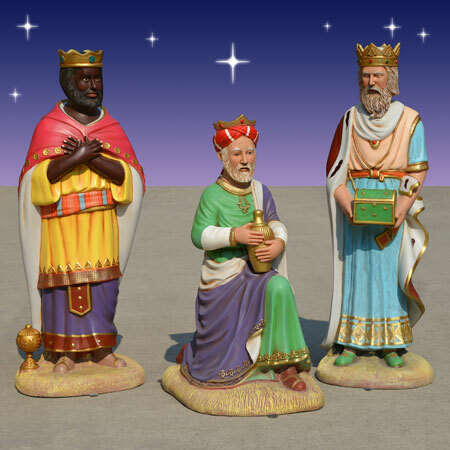 The figure is hand-painted and by Heinimex's skilled artists. Dimensions: L 40in. W 22in. H 23in. Shipping dimensions: L 42in. W 24in. H 26in. When setting product up outdoors make sure product is placed on a level surface and will not be blown over by the wind. 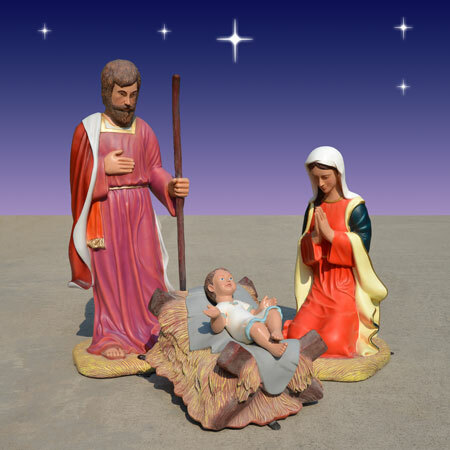 In windy locations place a wood stake in the ground behind each standing figure and secure it to the figure with heavy fishing line or wire. Make sure product is not in standing water, or covered with snow as this will soften paint and cause paint to separate from product. At the end of the season bring product indoors. Make sure it is thoroughly dry before cleaning with a soft cloth or paper towel. For bird droppings or stubborn stains use a damp cloth. Do not use chemicals, soaps, detergents or hoses. Store in the original shipping cartons in a dry location.